Systematic reviews play a pivotal role in the development of clinical practice guidelines. But with everything else that goes into the process, who has time to learn to use systematic review software? You’ve got to manage staff and volunteers, juggle deadlines, and make sure your guidelines are based on a complete body of evidence. Getting up to speed on systematic review software will just add to the never-ending task list... or will it? Systematic review software is designed to reduce the manual work involved in conducting a review. Using systematic review software can dramatically increase efficiency across the guideline development life cycle. Here are five challenges you may be facing as you conduct systematic reviews for guideline development - and how using specialized review software can help solve them. Updating systematic reviews can be a huge undertaking, especially if you have to start from scratch. But if you’ve used systematic review software for your project, updates are dramatically faster. Simply upload your updated search results, use the de-duplication tool to remove the references you screened last time, adjust your protocol if needed, and process only the new references. Your new data is blended with the original review data, and voila! 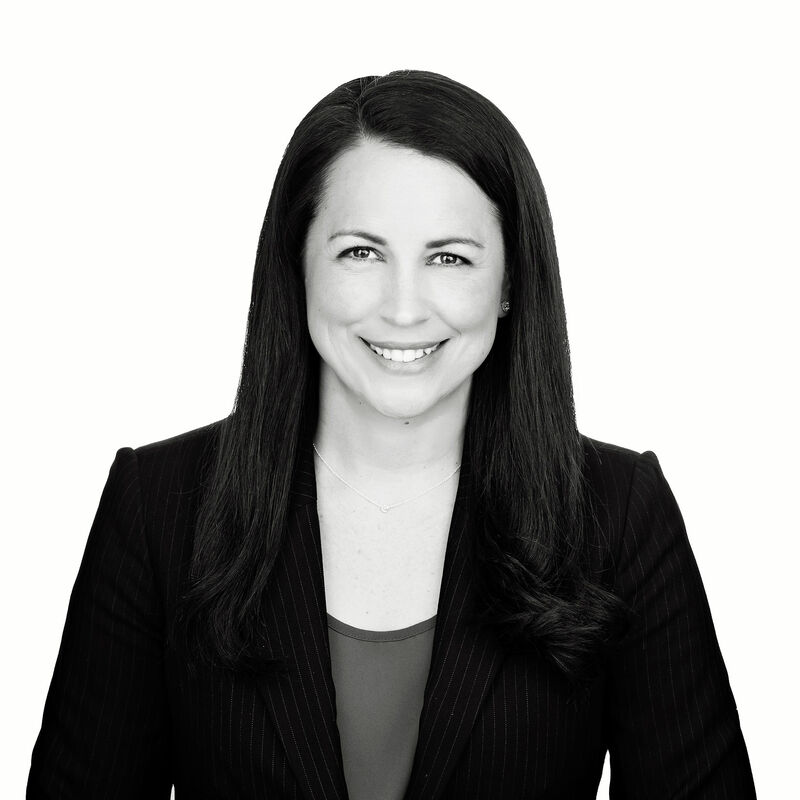 Your update is complete and you can make informed decisions regarding guidelines even faster. We’ve heard it over and over: time (or lack of it) is a huge challenge for systematic reviewers everywhere. In our 2017 Survey on Literature Reviews, approximately one quarter of those who answered the narrative survey question about their greatest review challenge mentioned the time involved in completing a review. The good news: researchers who use systematic review software report significant time savings in their review process - sometimes dramatically so. By streamlining and automating screening and data extraction, reviewer conflict checking, duplicate reference removal, and inclusion/exclusion processing, there are numerous ways that software helps you get more done in less time. Which means you have more time to relax… or create guidelines. If you struggle with adhering to systematic review best practices, such as using dual screeners, due to a lack of available resources or expertise, you’ll be happy to hear about the latest advancements in systematic review software. You can now leverage artificial intelligence (AI) as a screening assistant in your review process. Essentially, the software “learns” what included and excluded references look like as you conduct your screening process. Once it has been adequately trained, the AI can be used as a second screener on your reference set, flagging any disagreements it has with the human screener’s decisions for further review. It could help you catch all of the key references that could affect your guideline development. These days, it’s not uncommon for members of your guideline development group to be geographically dispersed. This can be a logistical nightmare when it comes to coordinating tasks and deadlines. Systematic review software can help keep your team from stepping on each others toes. Cloud-based software can be used from any browser on any device. With a centralized, shared data set, your team can collaborate in real time, regardless of location. How much time is your team spending on screening? How many references have been included or excluded? When can you expect the literature review to be done? Working with spreadsheets, these questions can be almost impossible to answer with any degree of accuracy. Systematic review software tracks everything and provides a central hub for all your project activity and lets you see a snapshot of your team’s progress at any point in the review. With this kind of tracking, you can forecast more accurate timelines for guideline completion. You may have experienced any number of these challenges when conducting your systematic reviews and are looking for some way to overcome them. Software may not be the answer to all the challenges involved in guideline development, but it’s one tool you can use to help you complete better quality systematic reviews faster than ever before. Ready to give it a try? 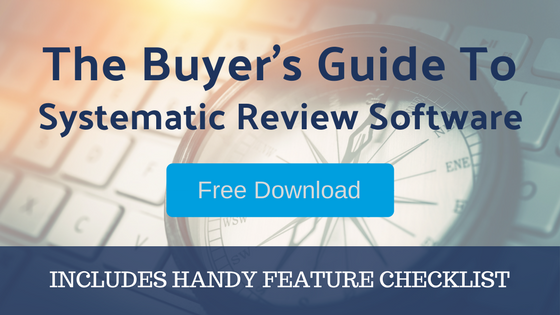 Check out our buyer’s guide and checklist to help you decide on the right systematic review software for your needs.